What is digital archiving? 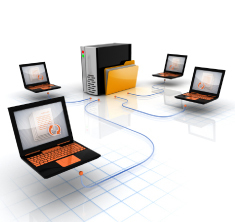 What is digital archiving involved? The rapid growth in the creation of digital materials has emphasized the speed and ease and which is very different from traditional technologies. More and more of what archivists collect is born digitally, shall these digital materials be preserved digitally too ? The Digital Archiving sub-group is established as a place for discussion and sharing of all these.